Even if you search really hard, you will probably not be able to find someone as enthusiastic as me about the chances of Johnny Gaudreau making an impact in the NHL this season. I think he has an incredibly high ceiling and is — without equivocation — a player who’s more NHL ready than most Flames prospects, regardless of how long they’ve been playing pro hockey. Gaudreau has just one game under his belt as a professional player, and while he scored a goal in it, I don’t think anyone would be too willing to say he was definitively a difference-maker in it. That goal he scored was, in reality, a kind of fluky deflection; it’s not like he did what he usually does to opposing defenses and cut through his matchups like a white-hot knife through pre-softened butter. He did a phenomenal job in rookie camp, and that highlight-reel goal he scored against Winnipeg in the opening game was something I’ve seen him do more times than I can really remember: Appear out of nowhere, run down an overmatched and terrified defenseman like a road-raging motorist plowing through a red light, and score a high-skill goal that the netminder had no chance to stop. I know for sure that I’ve seen Gaudreau play hockey more than just about anyone in the greater Calgary area — about three dozen live viewings over the last three seasons, and probably a dozen more on TV — and I can say with certainty that he does this literally all the time. That’s why I think Gaudreau can make it in the NHL this year, right now, without seasoning in the minors: I’ve been watching college hockey for more than 20 years and I don’t think I’ve ever seen someone have that much game-breaking capability. Gaudreau’s ability to stick a dagger in an opponent’s heart with a single shift is unrivaled by anyone I’ve seen at this level. With that all having been said, just because he’s NHL ready — and again, he 100 percent is — the treatment he’s gotten in Calgary over the last week has been, to put it kindly, a bit much. Every day at camp there was a breathless dispatch about “I Can’t Believe What Johnny Hockey Did This Time!” To some extent, it’s understandable; again, he did very well in grabbing two goals (and three points in as many games) under relatively limited conditions. But people put way, way too much stock in those tournaments over the weekend, at least from what I saw. The goaltender Gaudreau abused for the attention-grabbing backhander in the opening game was kid named Connor Hellebuyck who, like Gaudreau, played NCAA hockey. He had an awful night for the Jets, and lots of people on Twitter were commenting that it appeared he had “lost confidence” or something along those lines. The idea that any player at this level would “lose confidence” after a bad performance, especially in this low-stakes environment, is absurd. Hellebuyck was the best goaltender in college hockey over the last two seasons, putting together a .946 save percentage on 1,545 shots (only 84 goals allowed) in 53 games; his career shutout number (12) is the same as his career loss number in those two seasons. This is instructive. Just as a fans can’t let themselves fall to pieces over Hellebuyck’s bad night, they likewise can’t put too much stock in Gaudreau’s overwhelming skill based on these viewings. And that seems like exactly what everyone spent the entire weekend doing; Sam Bennett comparing his ability to Connor McDavid’s doesn’t help at all. He’s going to be a very capable NHLer, but if you’re looking for anything resembling a franchise savior, you’re being a little misguided. Then there’s the thing that happened with Frank Corrado, which must necessarily be talked about. Gaudreau’s coming over the blue line, he’s nowhere near the puck, and Corrado gives him a super-late forearm shot right to the face. He leaves the game likely as a precautionary measure, and is said to be fine afterward. He didn’t miss the next game, but he also didn’t see much action. 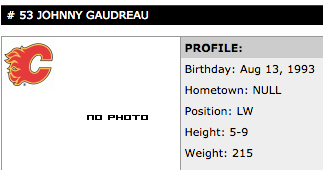 So if you’re looking for the counterargument against Gaudreau’s NHL readiness, that’s it. His size makes him particularly susceptible to getting his head knocked off by some frustrated dumbass defenseman who he’s tortured all night or all season. I’ve seen it more than a few times. There was some discussion after the tournament ended that one of the big concerns about Gaudreau was his elusiveness. That is, how ably he’d be able to avoid getting decked by big NHL defensemen who can skate really well; bigger guys in college don’t tend to be that good at moving around (though obviously exceptions exist) and the issue, then, is whether he can get through them with anything resembling as much ease he did at the college level. I would say that from what we saw this weekend and what I saw over the last few years, the answer is an unequivocal yes. His ability to almost never get hit is incredible. But that doesn’t prevent cheapshot scumbags like Corrado from doing what they did. He had no reasonable expectation to get hit there, but boy did he ever. If someone’s going to use that as the case against his readiness, they might want to consider that literally any player is able to get clobbered like that at almost any time, whether it’s Johnny Gaudreau or Jonathan Toews. If a guy wants to put you face-first into the endboards, or elbow you a full second after the puck leaves your immediate area, then he can. If nothing else, this lends credence — if you’re looking to view things through this lens, and the Flames certainly are — that Gaudreau wouldn’t have gotten headhunted if there’d been someone on the ice who would have beaten Corrado to death for what he did. The idea of surrounding your small guys with “beef,” as Brian Burke so eloquently put it, is one that’s going to be advanced by the team past, present, and future, especially in light of what just happened to the guy who’s weirdly being painted as some sort of salvational figure. Will that be to the detriment of players like Gaudreau or Sam Bennett, who are smaller guys that bring a lot of skill to the table but will never be accused of playing “physical” hockey? Of course it will. You have to put skill with skill, plain and simple, and this is an event that’s going to dissuade the team from doing that. It ignores the circumstances — the game was already a blowout by that point, and rookie camps are where idiots try to “make an impression” with physical or even dirty play on a regular basis — and the “this could happen to anyone” circumstances as well. That is, of course, speculation. But knowing the Flames as I do, the idea that Gaudreau would be saddled with at least one low-skill player throughout training camp and the exhibitions seems very likely from where I sit as a consequence of this incident in particular, and of organizational philosophy overall. You’d have to think that’s detrimental to success overall. or Gaudreau, Monahan and Wolfe? Imagine the career year wolfe would have! I’m very excited to see what Wolf can do. The guy put up decent numbers in the DEL for an NHLE of 35.5, and it sounds like he loves to hit guys. The Flames line-up was full of beef when Gaudreau was elbowed: Smith, Kanzig, Ferland, Carroll (I think). Now, maybe he would have been run at more if those guys weren’t around, but it goes to show you can dress all the tough guys in the world and it won’t completely eliminate the garbage. I agree with you. All in all the situation was handled quite well by the refs. If they enforce the rules then it negates retaliatory garbage. Gaudreau sucked it up and sat on the bench not giving the Nucks any satisfaction. Corrado was ejected. The Nucks had to play the last 5 minutes short handed and it quashed their hopes of coming back from being down 4-1 late in the game. The Flames continued to play hockey and emabarassed the opposition at home by scoring two more goals. Hopefully Corrado thinks twice next time. I was impressed with the restraint by the Flames. Had the refs not dealt with it properly right away it would’ve turned into a mess. the refs did what was in their power to do but when someone intentionally injurs then brags about it afterwards it mocks the game and puts the stars at risk. i would support allowing teams to be punished or suspensions handed out. imagine if some bubble player idiot got a 5 game suspension for targeting the head… that might be enough to keep him from ever seeing the NHL… and force him to rethink his goal of injuring someone. I wonder if the Flames style of play at that tournament, which will likely be the way we play all year will increase the chances of our young guys getting run like Corrado did. Corrado said after the game that he ran Johnny in retaliation for a big hit a Flames player put on Shinkarik. But don’t under estimate how tough the little guys could be.. JG has probably had to deal with guys pushing him around his whole life! Anyone watch the game versus the Dinos last night? Anything interesting out of there? He’ll have a big guy running with him 5 vs 5 for his entire career probably. No different than having Hayes at BC. The question is: who’s the right guy to be there? I’m guessing that’s going to be one of the competitions in training camp. I just hope they get someone with some skill and don’t just have a “babysitter”, you know? It’s very different from having Hayes on his opposite wing, because Hayes is a skill guy who just happens to be tall and kind of heavy. When Gaudreau occasionally got run this season, the first guy on the scene was almost always Billy Arnold, who’s not even 6 feet. Well, that shouldn’t have happened. It’s all about finding the right guy who can defend Johnny if needed but can also play hockey. Seriously, Cement Head played that role pretty good back in the day. He was ruthless, he didn’t care if you were a goon or not, if you went near Wayne, he pounded the piss out of them. He also scored goals & assists having Gretz & Kurri bouncing pucks off him in front of the net. 5 on 5 having a semi skilled bouncer on the line with JG & another very skilled possession type is what we should be trying to find. PP time is a different animal, don’t need need the hammers on the PP. That leads me to a potential line. You get Backs who is a great possession centre, JG & hope a guy like Wolf can keep up. Worth a look 5 on 5 me thinks. Or Bollig maybe. He might still be something. Right, but that was hockey prior to the instigator rule. That’s why we’re stocking up baby! Completely off topic, Sportsnet will have a show on analytics starting at 5:00 pm Calgary time. If someone has already mentioned it, apologies for the repetition. Lets bring in Dave Semenko…[h]e also scored goals & assists having Gretz & Kurri bouncing pucks off him in front of the net. Semenko’s career high is 12 goals in a season in 81-82 and 82-83. While use of the plural in your sentence is technically true, I think it still qualifies as overstatement. Translating Semenko to today’s level of offensive production I think it would actually become a negative number. He played a role in the game back then, but I don’t think a Semenko is what the Flames need today. And yet Semenko still hasn’t got a job with the Oilers? Yeah, not having big-time muscle around really hurt his production the last two seasons. I don’t think college hockey is quite the testosterone fest as the NHL, Ryan, but who is to say? Sarcasm from the article author is lame. I’m assuming Lambert didn’t watch much of the tournament. He didn’t leave the game – he was on the bench, however he did not play the last 5-10 minutes. He also has not played in a game since. Also have no idea why he would suggest that Sam Bennett “will never be accused of playing “physical” hockey”. Sure he’s not an enforcer, but the fact that he plays physical and with an edge has been a talking point since day 1. Lambert makes hyperbolic and/or false statements in almost all of his articles, while writing as though every word he says should be taken as gospel, which tend to make reading these articles so frustrating to read…Then again, here I am reading and commenting on it, so I guess that explains why he’s still around and probably will be for some time. Arm strength is really useful for skating hard and making hits. It’s probably a good indicator. Especially when you’re about to enter the toughest league in the world. In other words, Bennett is tough in his own ways. But Ferland said he didn’t even see it. I think he would have actually gotten to him if he had. Put Engelland at centre, you’ve got a dynamite first line. I have visions of him dumping it off to Johnny and skating as hard as he can in a straight line to the front of the net…about 15 times a game. We can’t afford the give him Anson Carter money. THERE IS A COUGAR ON THE LOOSE! Ferland might be the answer to JG’s percieved ‘Semenko’ problem. Ferland has the speed to keep up with the play, and his hands are + for a guy who could make a living as a facepuncher. Seems like a natural fit to have a legit powerforward type fight battles on JGs behalf. Even more than JG’s offensive abilities, I’m intrigued by his puck possession skills. He’s a game changer when it comes to gaining the offensive zone. On a lighter note, if JG=Kane, Monahan=Toews and Brodie=Keith, who does that make Sam Bennett? Patrick Sharp? Agreed. If Wotherspoon can be our Seabrook and Ortio at least as good as Crawford, we should be rolling in Cups before long! Sorry. I’m in the same circle of hades. Wanted some company. Lol. Don’t Ferland and Gaudreau both play LW? .. and I think it’s more like.. This piece was about tempering lofty expectations, and now we are comparing JG to a 1st overall generational talent who got 80pts as an 18 year old in the NHL and Monahan to a 3rd overall draft pick, who is one of the most unique players in the NHL and is year after year in the conversation for MVP of the league. Might as well add Backlund = Datsyuk to the list. We should start planning the cup route for 2017, 2018 and 2019!! Maybe even 2016.
hey great addition with the backlund comparison! 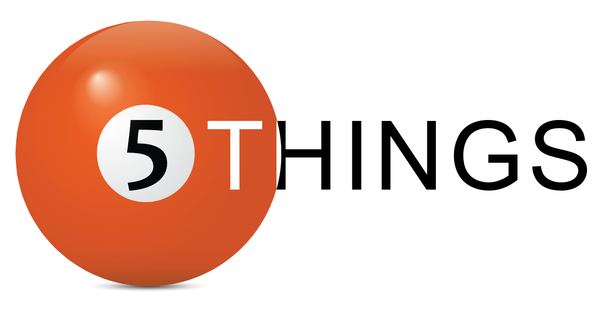 I appreciate the discussion “five things’ usually creates and I agree we need to temper our expectation and not do the same thing to Gaudreau that was done to Sven. Like others, I hope Ferland can keep developing and get his legs back, he could ride shotgun with Gaudreau and pick up a lot of ‘going hard to the net’ goals. I didn’t get to see Gaudreau’s first NHL game, only listened to it. But this “wasn’t a difference maker” business. Was he not one of the Flames best players? At the very least, he was one of the only Flames to have some pretty good looking possession numbers when the team got their lunch handed to them 5-1 or whatever the score was. Concur that he’s ready for an NHL go and that no name defenseman that elbowed him in the head should have gotten destroyed by one of the bigger Flames dressed though. I figure Corrado had to cheap shot Johnny. He was never going to hit him cleanly, and there is no other reason for Corrado to exist in the NHL, especially in pre-pre-season, other than to hit/fight/injure. I doubt that he cared who was on the ice, he was going to cheap shot Johnny. McG could have been out there with his gloves off the whole time and it wouldn’t have mattered. Johnny was getting a cheap shot no matter what. Whichever “best” Flame on the ice was getting it. This is no indictment of Johnny. His size had nothing to do with it. I’m not a big proprietor of goons or enforcers, especially if that means taking up the spot of a “skilled guy” like Sven, Granlund, etc.. but boy was I glad to have Ferland, Carroll, Kanzig, and Smith with the Flames in Penticton. Yeah, you can’t win dressing 12 big, slow guys, but you can’t win dressing 12 small guys either. For every player out there like Corrado, Lucic or John Scott, I feel at ease knowing there’s a David Wolf. And on a side note, I’m not saying Kevin Hayes isn’t a skilled guy, but his numbers were definitely inflated playing next to Gaudreau and Arnold. He was there for one reason. Having those guys on the team may have made you feel better, but it didn’t prevent Corrado’s cheap shot. One dirty hit, and Frank Corrado is suddenly a no-name trolloc. Let’s be honest here, guys, he’d be the #1 defenseman in the Flames’ system. Ahead of Wotherspoon. even more reason for the league to hand out suspensions for shots to the head in these tournys and preseason. make him think twice or pay the price. Granlund is more NHL ready than Gaudreau. I still want Marcus Foligno. What an odd article. It’s almost as if you discovered Johnny yourself and everyone needs to know that you and only you will set the expectations because you found him first. How come you can say he’s good based on your viewings but we can’t say he’s good based on ours? Ah yes, the new Omark. Soon Calgary fans will be saying trade Johnny for Weber straight up. It’s one of the four stages of being in a rebuild. The first will be denial. Next will come bargaining, then anger, and finally acceptance.